The Hustler SL360X Bale Feeder or bale unwinder is easier to use than any other type of feeder on the market. with self-loading 3-point linkage it is suitable for feeding out round and square bales, baled silage and loose silage. It can handle bales up to 1250kg and operates on tractors from 60HP upwards. 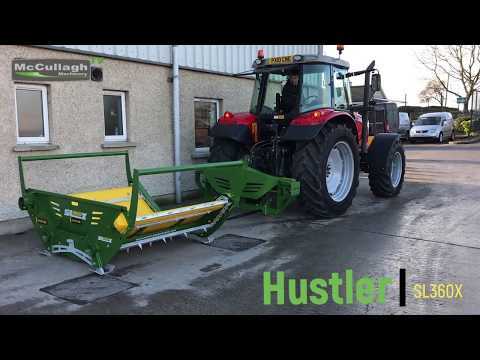 To make an enquiry about New Hustler SL360X Bale Feeder call us on ROI 048 6634 8213 | NI 028 6634 8213.